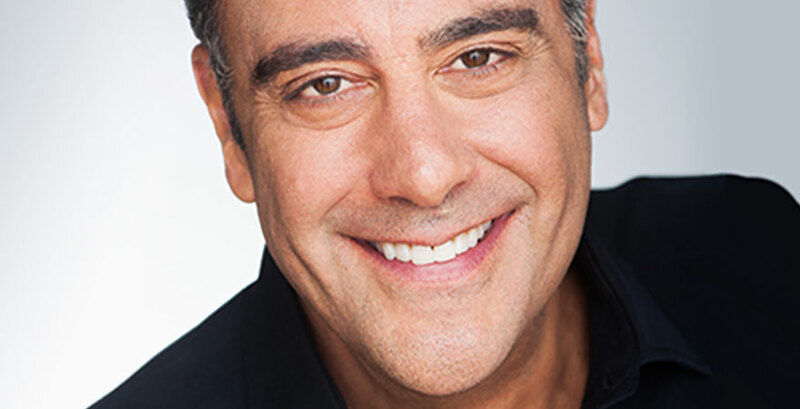 Brad Garrett, well known comedian and voice actor, is coming to State Theatre New Jersey on October 29! With a comedy career that has developed from over 30 years in stand-up comedy, and an acting career spanning over 40 films and 50 TV shows, his performance is sure to leave you laughing for hours after. Brad Garrett always knew he wanted to have a career in comedy. Dropping out of UCLA after only two months, he joined the The Improv and The Ice House improv clubs in California. A few months after, in 1984, he competed on and won the comedy section of the TV show Star Search, making him the first to win the $100,000 grand prize; but this was not the only prize he won. Because of his televised success on the show, he was recruited to perform on The Tonight Show Starring Johnny Carson. Thanks to this high profile appearance, Garrett was asked to open for many stars including Frank Sinatra, The Beach Boys, Smokey Robinson, Julio Iglesias, Diana Ross, and many more. His stand-up comedy proved to be quite successful, but he wanted to keep pushing his boundaries and see where else his humor could take him. In 1985 he began his voice acting career, starting with the cartoon series Hulk Hogan’s Rock ‘n Wrestling. Since his debut, he has used his iconic deep voice to provide many voices for several tv shows and films including A Bug’s Life, Ratatouille, Finding Nemo, Transformers (TV show), Mighty Ducks: The Animated Series, Project Geeker, Superman: The Animated Series, and dozens of others. He has also had guest appearances on many TV shows such as Family Feud, Super Password, Hollywood Squares, Roseanne, Seinfeld, and The Fresh Prince of Bel-Air. His most notable appearance, however, was on Everybody Loves Raymond, playing Ray Romano’s brother, Robert Barone, from 1996-2005. His role was so successful that he was nominated for five Emmy Award® and won the 2002, 2003, and 2005 Emmy Awards® for Outstanding Supporting Actor in a Comedy Series, and the 2003 Screen Actors Guild Award for Outstanding Performance by an Ensemble in a Comedy Series. In 2005, Garrett performed on Broadway for a short while playing the role of Murray the Cop and Oscar Madison in Neil Simon’s The Odd Couple. At this point, Garrett turned his attention towards another sitcom ‘Til Death, from 2006-2010, where he played the lead role of Eddie Stark. During this time he decided to pursue one of his other passions, playing poker. He won the fifth season of Celebrity Poker Showdown in 2005 and took part in the World Series of Poker in 2005, 2006, 2007, and 2009. Starting in 2008 he switched gears once again and became the executive producer for an online reality show, which he also starred in, Dating Brad Garrett. During this time, Garrett also hosted a celebrity roast of Cheech & Chong in 2008 and starred in commercials for the soda brand 7-Up. In 2010, he decided to open a comedy club in the Tropicana Resort and Casino in Las Vegas in 2010 but then later closed it down a year later and opened another one at the MGM Grand which is still open today. In 2011, he starred on the candid kids show, I Kid with Brad Garrett, a show where Brad asked children strange questions to see their responses. More recently, Garrett voiced characters in the films Planes and Teenage Mutant Ninja Turtles: Out of the Shadows, was a recurring character on the show The Crazy Ones, and was Frankenstein’s Monster in Apple’s 2016 Christmas commercial. Now you have the chance to see the great comedian Brad Garrett live! Don’t miss his show at the State Theatre New Jersey with Rita Rudner on Sunday, October 29, 2017 at 7pm; an evening that will be sure to make you laugh, giggle, and snicker the night away.